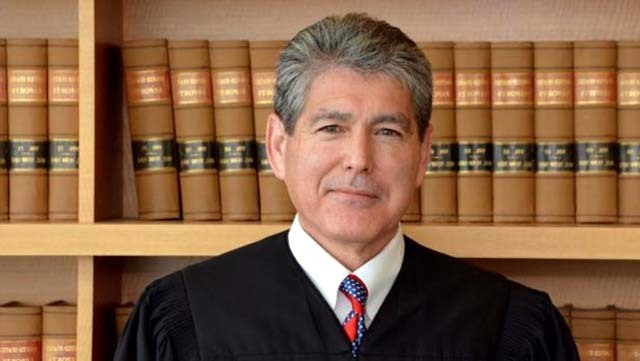 Federal Judge Dana Sabraw, who ordered the government to reunite families separated at the border in the wake of the Trump administration “zero-tolerance” policies, will be honored with the Outstanding Jurist Award at the San Diego County Bar Association’s annual luncheon in May. The 60-year-old Sabraw is married to San Diego County District Attorney Summer Stephan. According to Wikipedia, his Japanese mother met his father in 1954 when Sabraw’s dad was an Army soldier stationed in Japan during the Korean War. Sabraw was born in San Rafael and grew up in the Sacramento suburb of Carmichael. He earned a bachelor’s degree from San Diego State University in 1980 and a juris doctor from McGeorge School of Law at University of the Pacific in 1985. Outstanding Attorney of the Year Award: Awarded to an exemplary attorney who provides outstanding community service above and beyond just service to the legal profession. Service to Diversity Award: Recognizes outstanding service by a member of the legal profession, in promoting and encouraging diversity within the legal profession. Service to the Legal Community Award: for outstanding long term or significant contributions to furthering the goals of the legal profession and promoting ethics, integrity, and professionalism in the practice of law by legal education, civics education, mentoring or service to the SDCBA. Community Service Award for outstanding service to the needs of the community (e.g. charitable, cultural, humanitarian or educational), other than directly through the SDCBA. Service by a Public Attorney Award for an individual who demonstrates a combination of excellence in the practice of law with service to the community, the profession, the Association or legal education. Outstanding Service by a New Lawyer Award for outstanding service by a new lawyer in his or her first six full years of practice who has demonstrated a significant commitment to serving the legal community via legal education, mentoring or community service efforts. Distinguished Citizen or Organization Award for outstanding contribution by a lay person or group not composed primarily of lawyers or judges whose contributions over a period of time have had a significant and favorable impact on some facet of the legal system or legal community or civics education. All award recipients will be recognized at the SDCBA’s annual Awards Luncheon & Celebration of Community Service at the Westin San Diego (Emerald Plaza) from noon to 1:30 p.m. May 1. The event takes place during the SDCBA’s Celebration of Law Week. Tickets are available through the SDCBA website at sdcba.org/2019AwardsLunch. Recipients are nominated by the San Diego legal community and reviewed and selected by the SDCBA’s Awards Committee, with the approval of the SDCBA’s Board of Directors.